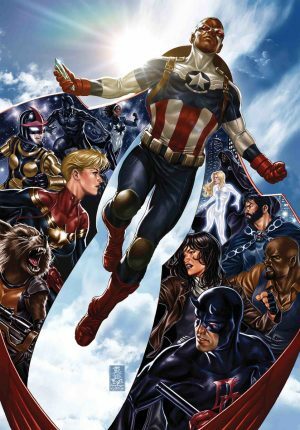 As Marvel releases their August 2017 solicitations with 3 issues concluding Secret Empire, in May 2017 we are 4 issues into the 12-part Secret Empire event on the to road to Generations and Marvel Legacy. 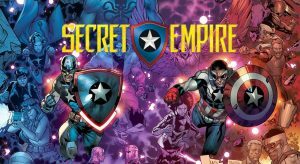 Marvel Comics, Secret Empire & August 2017 Solicitations Spoilers follow. 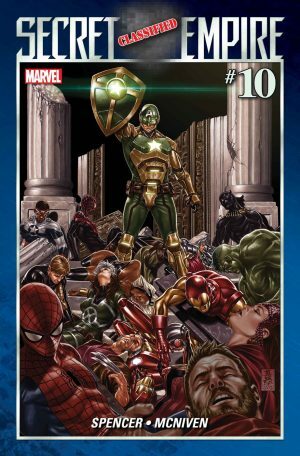 No real details on the solicitations beyond the creative teams and one sentence in Secret Empire #10 solicit only. Mark Brooks’ cover to Secret Empire #9 has not been released yet. 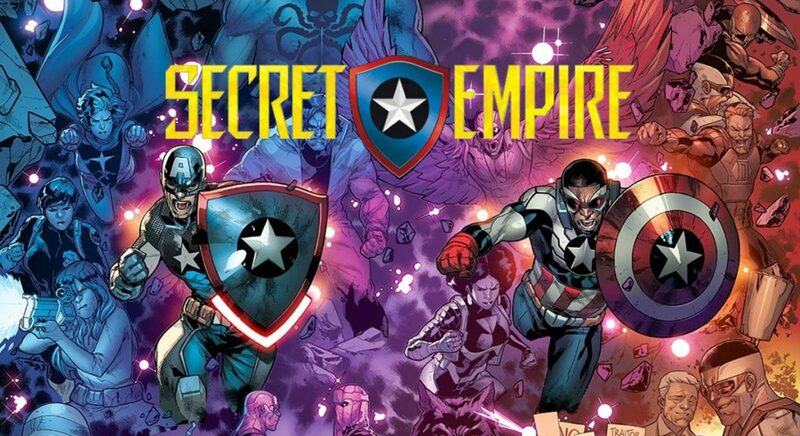 ISSUE #9 – Kirby 100th Anniversary Variant Cover by JACK KIRBY UNITED WE STAND – against the SECRET EMPIRE!